Hacienda posters: Fantastic Hacienda poster featuring a photograph of the name plate on the legendary and now sadly defunct Hacienda Club in Manchester. 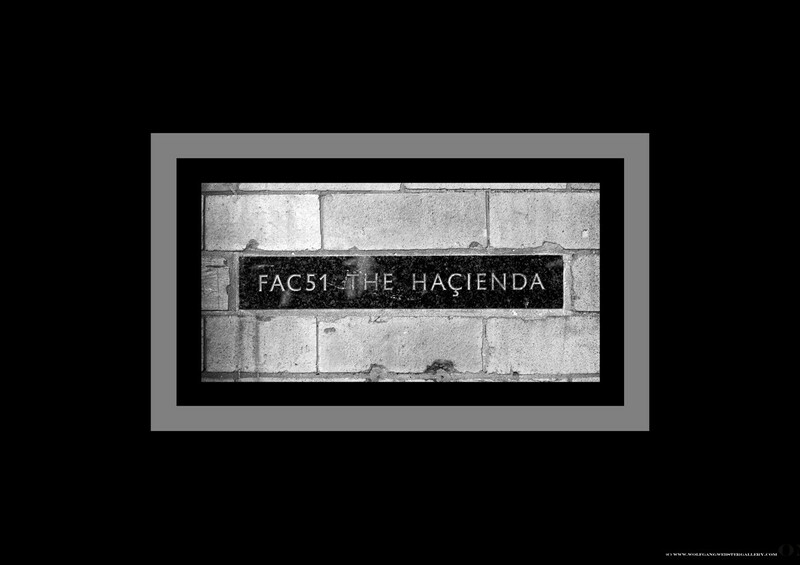 The Hacienda was labelled FAC51, as factory Records gave a catalogue number to all its products. The photograph is set into a stylish black background.